Experience more summer bounty from the Romanian couple, Gabriela and Tiberiu. 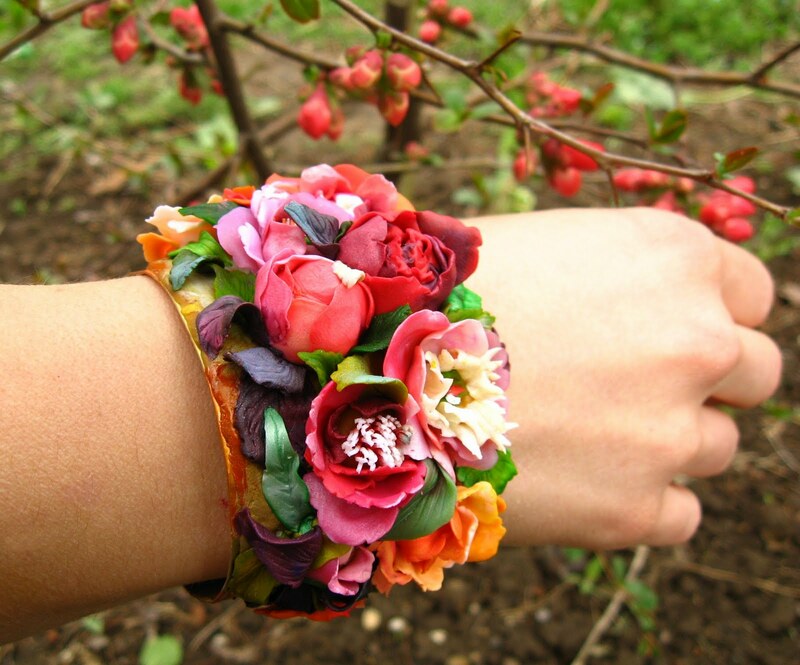 This wide brass cuff is covered with polymer florals. Here are more views of the bracelet. The couple must be gardeners. Only eyes trained by working with flowers could capture every detail of every plant in these abundant polymer pieces so well. The link comes from Israel’s Tania Podoleanu. Such LOVELY, delicate, and meticulously crafted pieces perfectly capture the beauty of florals. Amazingly delicate details – they’re beautiful. i am very impressed with the delicate detail and also the color choices, do you worry about the wearability.? Thank you for this flattering post, Cynthia! The Herinas are very kind and sensitive people and they really are professional artists! 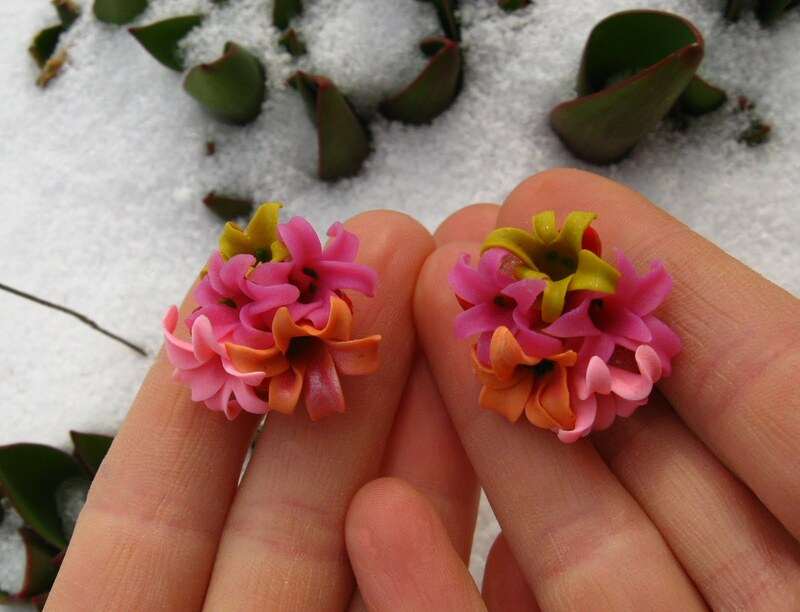 I also admire their fabulous work, and for them, polymer flower jewellery is nothing but an experiment! They work as professional painters and spend a lot of their time in churches, redecorating them with saints paintings! As for the bracelet you posted here , I must confess that I am its happy owner, andI fully guarantee its wearability, of course one has to be careful, but when I dropped it on tiles, it stayed intact.Moreover, I would say that their jewelley are much more beautiful in reality that they show in photos! Thank you so much again for giving my favourite artists so much consideration, and I am happy to have discovered your blog!